Ted’s Meat Company was founded in 1935 by Orville “Ted” Dye. It was originally located in the port of Stockton, under the name of Ted’s Boneless Beef. During the war, Ted sold meat products to the government; after the war, he moved the business to a small butcher shop on Weber Avenue. Besides Ted’s retail counter, his customers included butcher shops and restaurants. After several years, expansion was needed, so Ted’s Meat Company moved to a larger facility where it became a wholesale meat jobber. Ted’s Meat Company moved twice after that, expanding each time, until it was moved current location at E. Miner Avenue. Besides expanding its facilities, Ted’s has met the ever-changing needs of its customers. Instead of selling only meat and poultry products, Ted’s has now broadened its abilities to serve a full grocery line, paper products, as well as janitorial and kitchen supplies. Due to this expansion, the company has been renamed Ted’s Foodservice to best portray its services. Ted’s has grown steadily by keeping focus on quality, products, people and service. Although Ted’s Foodservice has passed through several owners in the last 79 years, it has still maintained the service and quality that was first introduced in 1935. Started at Ted's Foodservice in 1984. 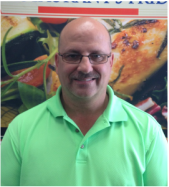 With nearly 30 years of foodservice experience, Dave is very knowledgeable about the product and processes around running a sucessful business. 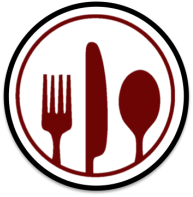 He has seen the change in the food industry business over the years and would be happy to assist you with any and all of your needs. His goal is to supply you with everything you need to run your business. 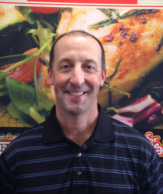 Started at Ted's Foodservice in 1989. Following his father, Gary Costa's footsteps, Paul has been around this business for most of his life. He is very knowledgeable about products and services that the company offers. Paul is here to help you in placing orders, as well as setting up appointments for shipping and receiving. He has extensive experience in ordering a variety of products and would be happy to answer any questions you may have.